CrossInstall is the leading creator of programmatic interactive mobile ads. MSA wanted to provide an office that fosters innovation and productivity. The new space must provide room to grow and attract top talent. The 360 views exude light while fostering creative energy. The centerpiece of the office is All Hands Area where a projection screens drops down behind the stage. 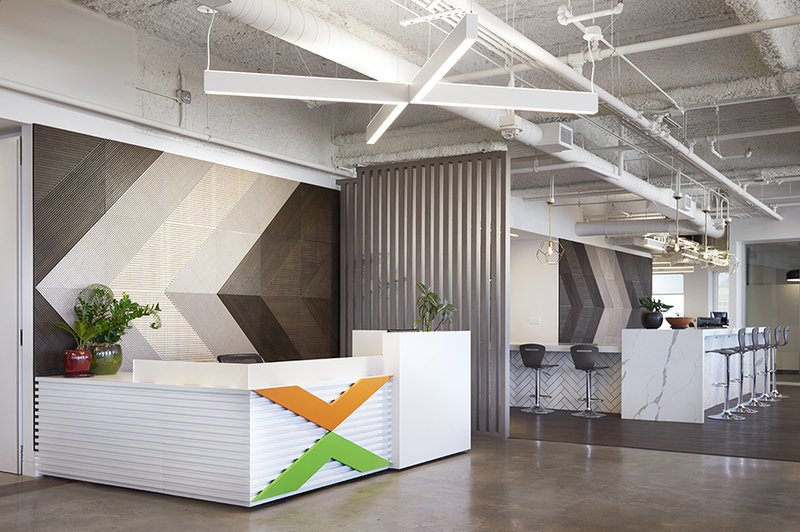 The Plyboo feature walls is another highlight of the space, providing warmth in the elevator lobby and interesting wall patterns in main lounge that resonates from the platform to the breakroom area. A big thanks to our furniture vendor. If ever there were a team cut out for the job, it's SideMark.